Mildew, chips, cracks, and out-of-date colors are some of the hallmarks of a shower in need of replacement. A brand new shower base from Bath Planet could be all you need to start enjoying your shower again. 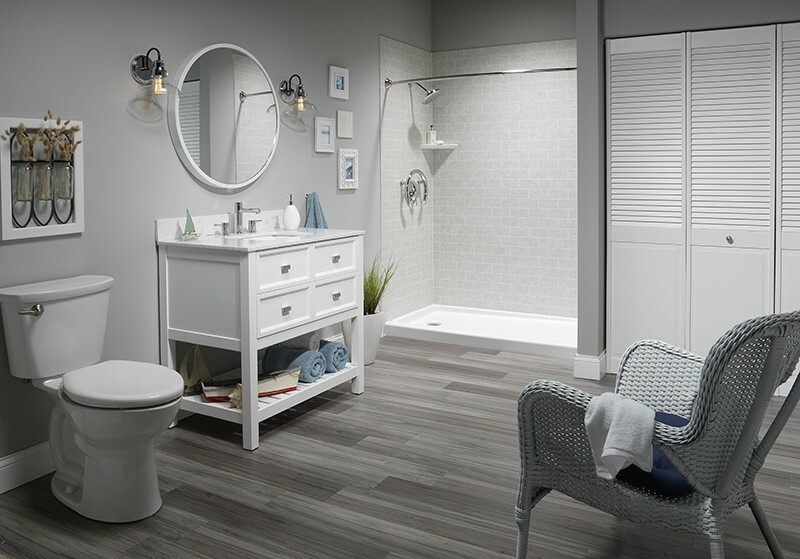 Our experts can provide bathroom remodeling without the hassle, mess, and sky-high prices of a traditional remodel. Our innovative process allows our professionals to install customized showers in just a fraction of the time! 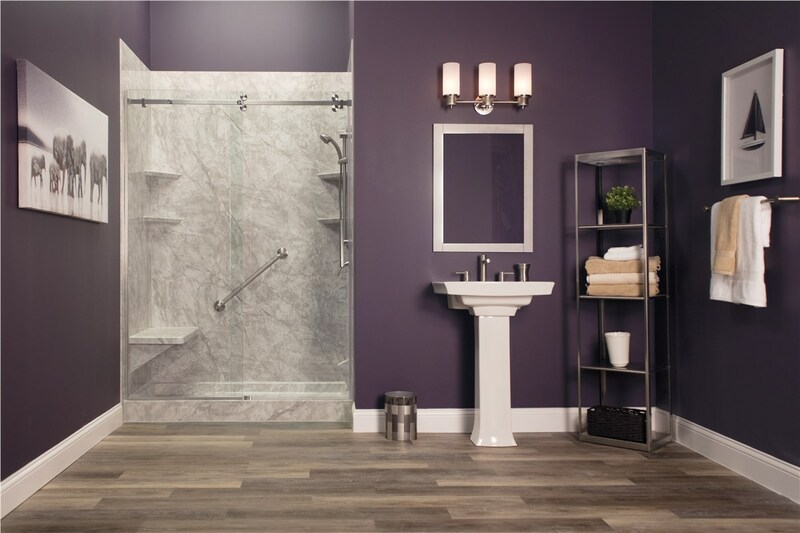 Our professionals can offer you a variety of shower bases to meet your unique needs, custom-fitting your new shower base to your existing bathroom. Whether you are looking for a traditional single threshold shower tray to replace your old one, or you would prefer to make your shower more accessible with a barrier-free shower floor, we have the top-quality products you desire. Each shower pan is custom fabricated to your bathroom and created out of durable, multi-layer acrylic. The tough material guarantees that your shower will maintain its sleek appearance for years to come! 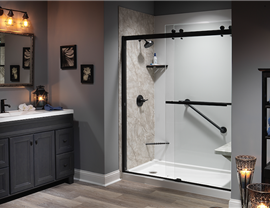 Not only are our showers durable, but they are also very low-maintenance. 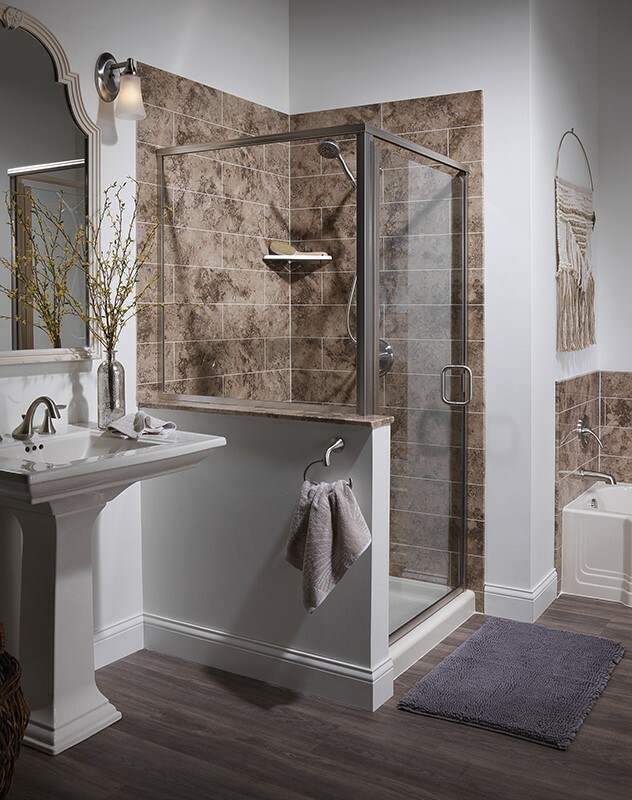 The non-porous, grout-free design of our shower bases doesn’t require the usual scrubbing or bleaching, so you can have peace of mind that your shower is cleaner and healthier than ever. 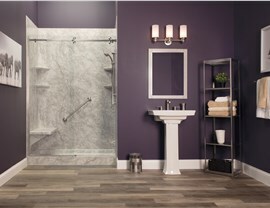 With a variety of colors and styles available, your new shower base will be tailor-made to suit your style. 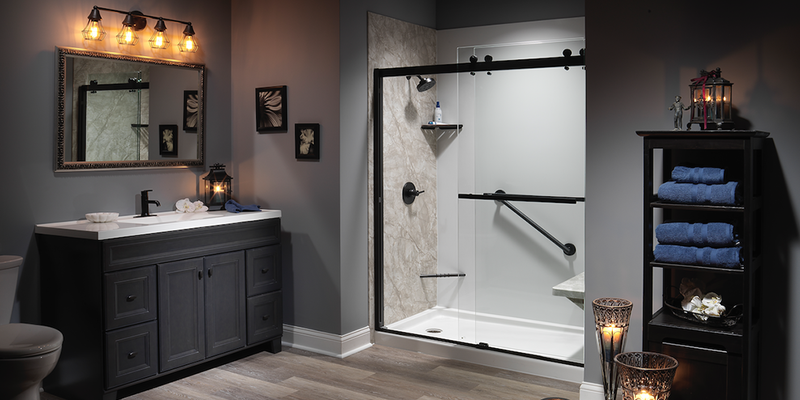 Are you ready to learn more about our one-day shower remodeling? 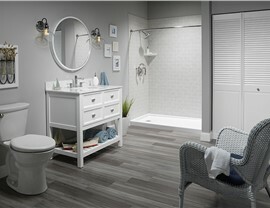 Give us a call to schedule your FREE bathroom renovation consultation today!